The Mobile Solar Kiosk, invented by Rwanda’s Henri Nyakarundi, is one of 10 renewable energy startups highlighted by Africa.com. Great ideas for renewable energy are blooming in Africa, where it’s important that energy be both accessible and affordable. Africa.com recently rounded up ten of the most promising technologies. “Africa has an immense energy crisis,” says the website. “In a continent with a population of close to 1 billion, over 625 million people are without power. 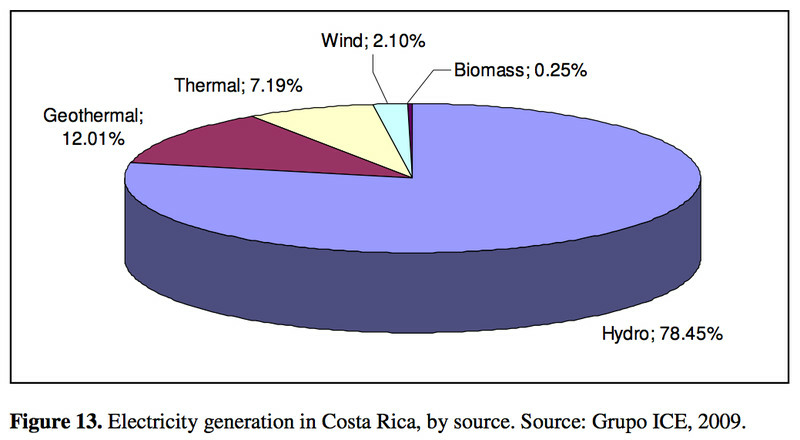 According to the International Energy Agency, that makes up 68% of the population. This is ironic considering the fact that Africa has an abundance of natural resources available. “For instance, the continent has a large coastline where wind power and wave power resources are abundant and underutilized in the North and South. Africa has much greater solar resources available than any other continent because it is the sunniest continent on earth. “Energy is an essential factor for the reduction of poverty and economic growth. Major sectors like agriculture, education, communication, and technology all require abundant, consistent, and cost effective energy to spur the much needed development of the continent. “Mobile Solar Cell Phone kiosk is an alternative solar-powered mobile kiosk that charges phones and connects communities in Rwanda. It was founded by Henri Nyakarundi — a Rwandese who lived in the United States — after struggling with charging his phone whenever he went back to Rwanda or Burundi for holidays. “He also noticed that even though many people had cell phones, they faced a challenge with charging their devices. It is estimated that over 70% of the population in Rwanda own a cell phone; however, at the same time, World Bank estimates that less than 25% of the Rwandan population has access to electricity. Others on the website’s list include M-Kopa, which “sells solar home systems to low-income earners by allowing them to pay in installments over the course of a year using mobile money”; Shakti, “a South African startup that provides an alternative energy solution to thousands of households that do not have access to electricity”; electric vehicles; LED lights; and “batteries in a bottle.” More at Africa.com. Øvre Forsland hydroelectric station in northern Norway. So while we’re on the subject of removing pollutants using artistic sculptures, how about an article on creating clean power in an artistic energy plant? Stuart Dredge writes at the Guardian about “an unusually handsome hydroelectric plant” on the edge of a forest in northern Norway. “Located in the Helgeland district in northern Norway, [Ovre Forsland is] a small hydroelectric power station capable of supplying 1,600 homes with power. Hat tip: @VictoriaLynden on twitter. Which Tech Companies Are Greenest? At the radio show Living on Earth, Steve Curwood recently interviewed Gary Cook of Greenpeace about an effort to get tech companies to be greener. COOK: “Just after we spoke, they made a commitment to be 100 percent renewably powered, and as the end of last year, they even made that goal. So, it’s been quite a big shift. CURWOOD: “100 percent renewable energy. How’s that possible? COOK: “It requires some effort. Apple has done a lot in North Carolina where they have their largest data center in terms of deploying two different solar farms and an onsite fuel cell that’s powered with biogas energy, so it’s all renewable. They have several other data centers. … In Oregon they’re using wind; in Nevada they’re using solar. “So they’ve actually shown a commitment from the top, been very aggressive, probably the most aggressive of any of the brands to make sure as they grow, they’re using clean energy. The radio interview covers several other efforts tech companies are making. It’s a good thing, too, when you consider, as Living on Earth points out, “If the Internet were a country, it would be the sixth largest consumer of electricity in the world.” More here. The Greenpeace Airship A.E. Bates flies over Facebook headquarters with a banners reading “Building a Greener Internet” and “Who’s The Next To Go Green?” Apple, Facebook and Google have committed to powering their data centers with renewable energy. Building energy savings into school design means more money for education. At Yes! Magazine, Erin L. McCoy describes what planners did for the rural Richardsville Elementary School near Bowling Green, Kentucky. “When Richardsville opened its doors in fall 2010, it was the first net zero school in the nation, meaning that the school produces more energy on-site than it uses in a year. “Solar tubes piping sunlight directly into classrooms eliminate much of the school’s demand for electric light, while a combination of geothermal and solar power cut down on the rest of the energy bill. Concrete floors treated with a soy-based stain don’t need buffing. The kitchen, which in most schools contributes to 20 percent of the energy bill, houses a combi-oven that cooks healthier meals and eliminates frying. This means an exhaust fan doesn’t pipe the school’s temperature-controlled air to the outdoors all day long. “Meanwhile, ‘green screens’ in the front hall track the school’s energy usage so kids can see the impact of turning off a light in real time. “Three factors are essential to making a green school work: First, you need the participation of the community and the local power company; second, you can’t forget that a school is a dynamic learning environment; and third, you need to speak the language of money. Students gather on the first day of school at Wyandotte Elementary School near Lafayette, Ind., in 2011. Wyandotte is one of many US schools that have made cutting energy use a priority. Aren’t inventors great? There certainly seem to be a lot around these days. Of course, I am still a bit high on the Mass Challenge Awards last night, thrilled about Erik and the other deserving winners, like the nonprofit GRIT (Global Research Innovation and Technology), which makes an inexpensive wheelchair for use in the Third World. 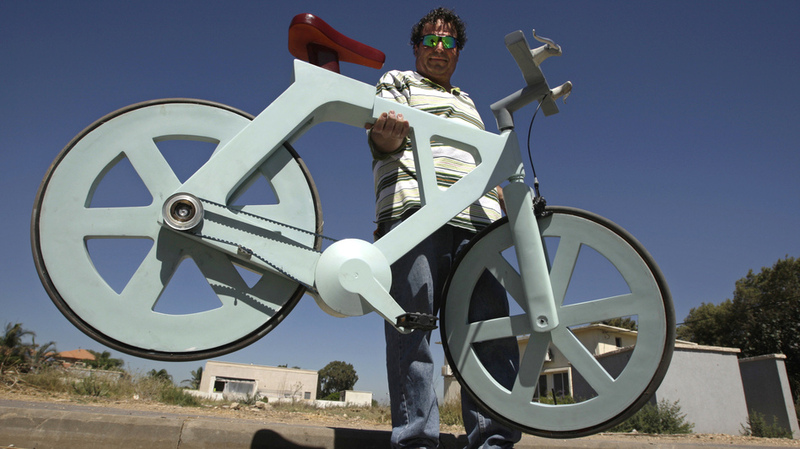 Here’s another cool invention, from Israel: a cardboard bicycle. Ori Lewis and Lianne Gross write at Reuters, “A bicycle made almost entirely of cardboard has the potential to change transportation habits from the world’s most congested cities to the poorest reaches of Africa, its Israeli inventor says. “Cardboard, made of wood pulp, was invented in the 19th century as sturdy packaging for carrying other more valuable objects, but it has rarely been considered as raw material for things usually made of much stronger materials, such as metal. “Once the shape [of Gafni’s bicycle] has been formed and cut, the cardboard is treated with a secret concoction made of organic materials to give it its waterproof and fireproof qualities. In the final stage, it is coated with lacquer paint for appearance. “In testing the durability of the treated cardboard, Gafni said he immersed a cross-section in a water tank for several months and it retained all its hardened characteristics. “Once ready for production, the bicycle will include no metal parts, even the brake mechanism and the wheel and pedal bearings will be made of recycled substances, although Gafni said he could not yet reveal those details due to pending patent issues.” Read more from Reuters, here. Check this video posted by Gadizmo.